CMA Fest has officially begun! Thursday was no joke with heat in the 90’s! CMA Fest does provide fans with fans and cooling stations along with plenty of bars across Broadway to keep the party going in the Nashville sun. The day kicked off with Jon Pardi and Lauren Alaina back to back at Riverfront stage. 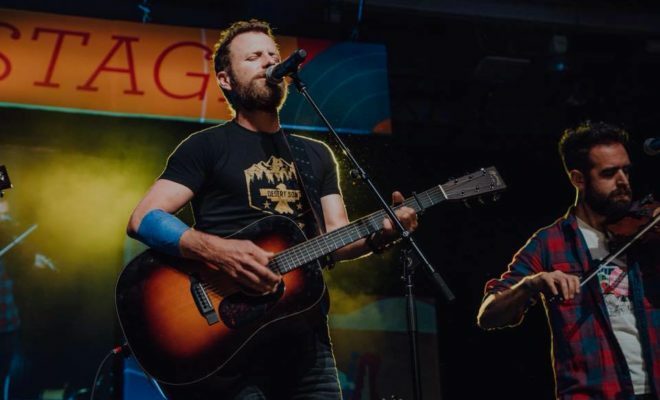 Meanwhile inside AT&T Fan Fair X, Dierks Bentley kicked things off in the AC with CMA Closeup’s Artist of The Day where he performed and did a Q&A. There are plenty of hidden gems during CMA Fest. If you ever look down at the road chances are you’ll find your favorite artist’s song, lyric, graphic, or picture. Inside Music City Center there is an entire wall fans are covering in art with sharpies. You can also get free swag up and down Broadway and inside Music City Center, including bandannas to soak to keep yourself cool and looking cool. Night time brings choices of what you’d like to experience. The bars are hoppin’, Nissan Stadium, or Cracker Barrel’s Country Roads Stage at Ascend Ampitheatre. 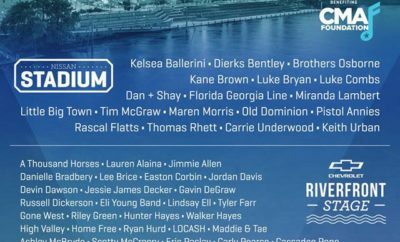 Nissan brought CMA Summer Special’s hosts for the second year in a row, Kelsea Ballerini and Thomas Rhett. The lineup included: Charles Esten, Carly Pearce, Lauren Alaina, Kane Brown, Dan + Shay, Darius Rucker, Brothers Osborne, and Jason Aldean. A highlight moment was when the crowd had their cell phone lights glowing during Dan and Shay’s set. 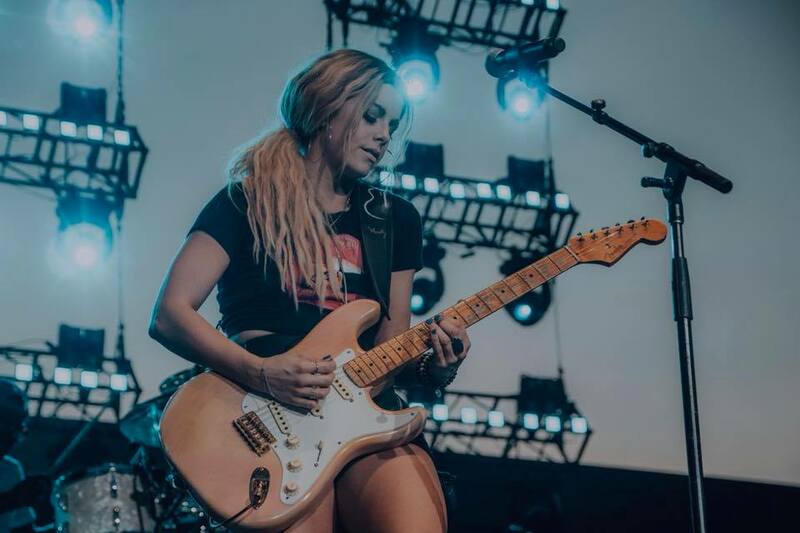 Country Roads’ stage brought out the best and brightest talent from Broken Bow Records including: Everette, Lindsay Ell, Runaway June, Craig Campbell, Chase Bryant, Granger Smith, and Chase Rice. 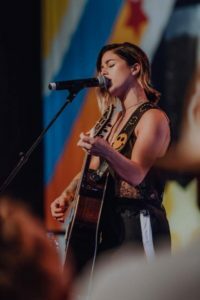 One of our favorite parts of CMA Fest is discovering new and upcoming talent. Here’s our top 5 favorite up & comers during day 1! We truly don’t know how Ashley is still and up and comer since she’ll be performing in stadiums in no time. 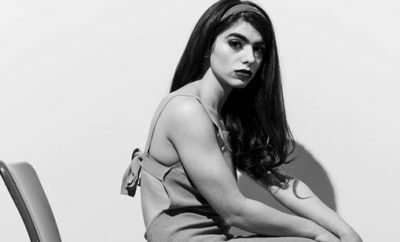 Ashley is a one of a kind talent who attracts any passerbyers with her unique voice and absolutely stunning lyricism. This trio can not sound better vocally. Their latest single ‘I Can Buy My Own Drinks’ is a tune you can’t get out of your head. For true musicianship look no further than Charlie Worsham. You know the songs that just make you smile? That is what his music does. You can tell by his stage presence that country music is what he lives and breathes and is more than just his career. Ready to dance? Drew Baldridge is your man. With high energy and infectious tunes there’s no way he can’t get you off your feet! Ready for a weekend jam? Radio Romance has you covered. The band won the 2017 Nash Next contest and just signed with Big Machine. 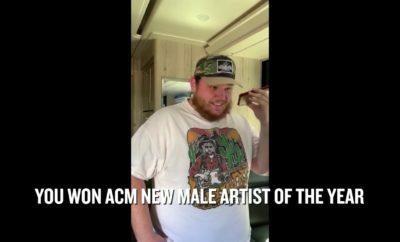 Luke Combs, Ashley McBryde, and Lanco Win New Artists at 2019 ACMs! Frankie Ballard On Jimmy Kimmel!